Our Peranakan-inspired DIY sets provide all the necessary ingredients for a fun and healthy bonding activity, whether in a home or corporate setting. A DIY Popiah Set promises about 15 to 20 popiah rolls. It also promises a unique and tasty experience for everyone. Our most popular DIY Set to date. This set comes with the primary ingredients that makes up the nonya-style popiah we are known for. Cooked with minced scallop and crab meat, our main filling combines a delicate mix of carrots, bean curd and turnips dipped in seafood gravy. You can make about 15 to 20 popiah rolls from the set, depending on your proficiency in popiah-rolling. For vegetarians everywhere, this garlic-free set comes with the primary ingredients that makes up the succulent popiah we all love. Using a delicate combination of mushrooms, carrots, turnips, beancurd and sweet beancurd sticks (tao ki) as the main filling, you can make about 15 to 20 popiah rolls from the set, depending on your proficiency in popiah-rolling. This Peranakan delicacy is as easy to make as it is to eat, ideal for a quick and fuss-free Pie Tee party. Cooked with minced scallop and crab meat, our main filling combines a delicate mix of carrots, bean curd and turnips dipped in seafood gravy. You can make about 35 Kueh Pie Tee golden cups from the set and will probably finish them up faster than you can make them. Upsizing your popiah party? You’ll need these mainstays to make it happen! Kindly note that sale of popiah skins is available for walk-in customers everyday at our shop. However, for bulk orders of 5kg and above, you can arrange to pre-order at joochiatpopiah@gmail.com. Using a secret nonya recipe since the 1930s, our main filling is cooked with minced scallop and crab meat, together with a combination of carrots, bean curd and turnips dipped in seafood gravy, serving as the star ingredient of our world-renowned popiah. Developed for our animal-friendly brethren, this timeless recipe of mushrooms, carrots turnips, beancurd and sweet beancurd sticks (tao ki) is garlic free and serves as the main filling of our vegetarian popiah. A tub of 35 golden cups made with fresh oil and batter-fried to a crispy gold. A good dish is only as good as its ingredients. That’s why all the condiments in our popiah is hand-made the low-tech (read, onerous and backbreaking) way and consequently, of the highest quality. Hand-made from fruits including orange and lemon as well as other natural ingredients, our unique sweet sauce is a hit with both the young and old. 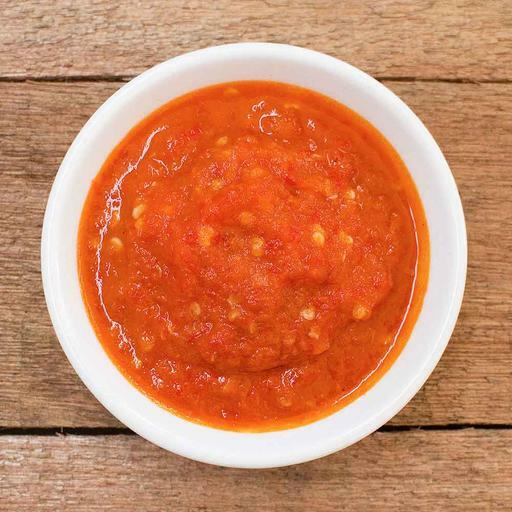 Hand-made chilli padi with garlic to add a powerful zing to your popiah! Hand-made vegetarian chilli to add a powerful zing to your meal! Peanuts coarse-grounded into tiny granules of nutty bliss. Batter-fried in fish oil to a golden crisp, a must-have for any popiah worth it’s sea salt. Fresh garlic to add a unique flavour to your popiah. Deep-fried garlic to add a unique flavour to your popiah. Eager for more treats to complement your meal? Here’re some of the tastiest offerings that’s been emptying our shelves every week. A well-known local delight made up of water-chestnut, prawn, chicken, fish, carrots, yam and other ingredients, all rolled up with a piece of soy skin and fried to a crispy brown. Made from fresh coconut juice and pandan leaves extract, our traditional kaya paste overflows with home-made goodness that makes bread smile. Everyone knows that a good popiah is best served fresh. Imagine if one of our guys is at your event wrapping and even making the popiah skin itself? A popiah doesn’t get any fresher than this! To get one of us on your side, please email joochiatpopiah@gmail.com. You can also hop over to our events page for a quick peek at some of KGH’s most successful events thus far. A 5% online payment fee will be tagged on all items sold on this site. See if we already predicted it in our site FAQ page. Just click on our logo on the top left corner of this page!